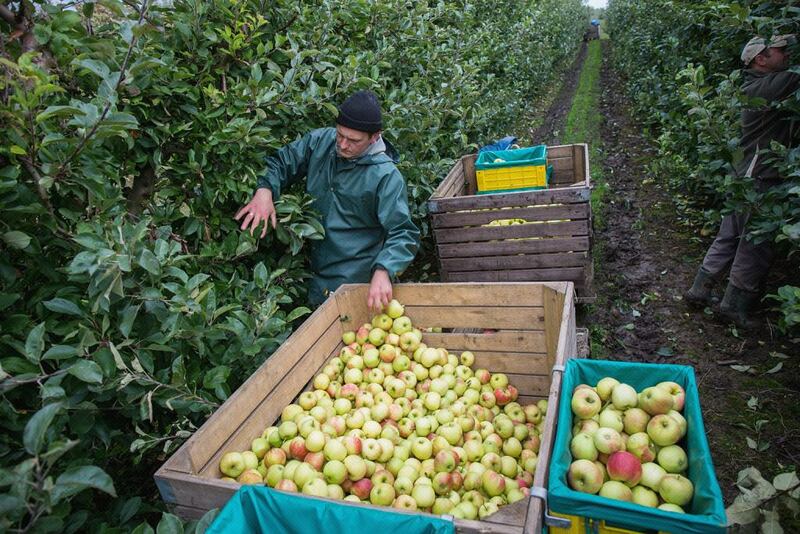 Seasonal workers from Poland Blazej Frysiak and Jakub Kedzia harvest apples on a fruit farm in Altes Land ( "old country"), an area of reclaimed marshland. 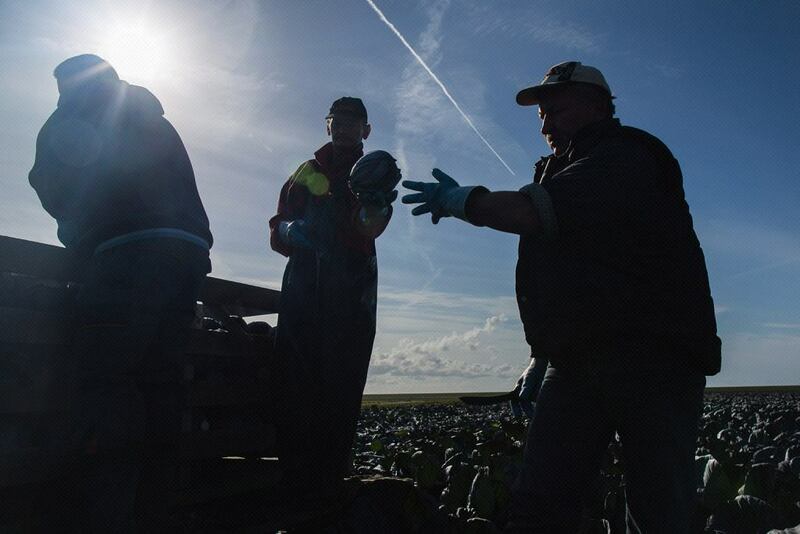 Seasonal workers from Poland pause on arable field in Schleswig-Holstein, Germany. 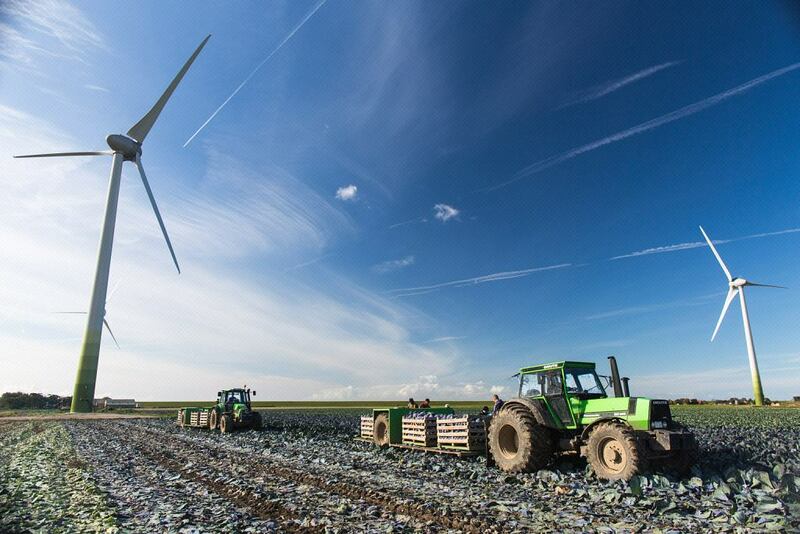 Seasonal workers from Poland Slawek Zielinski, Lucas Mikolajczyk and Kamil Nawrocki pause on arable field in Schleswig-Holstein, Germany. 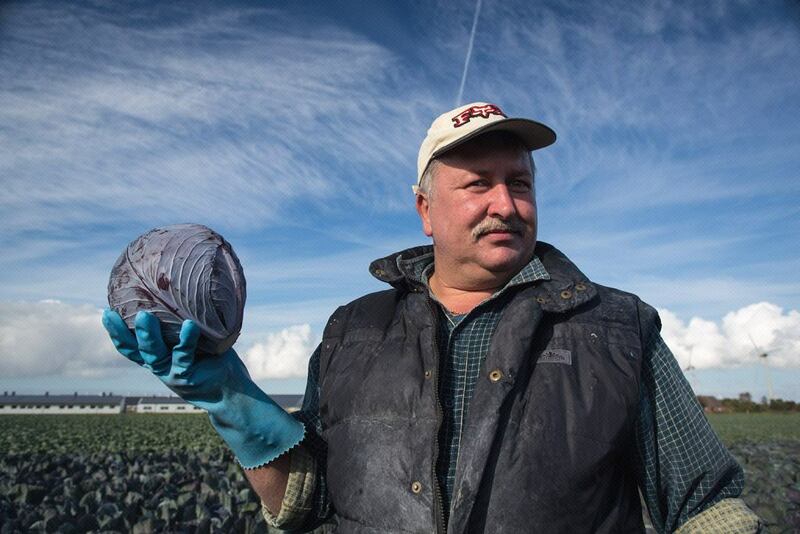 Seasonal worker from Poland Mirek Markiewicz harvests red cabbage in Schleswig-Holstein, Germany. 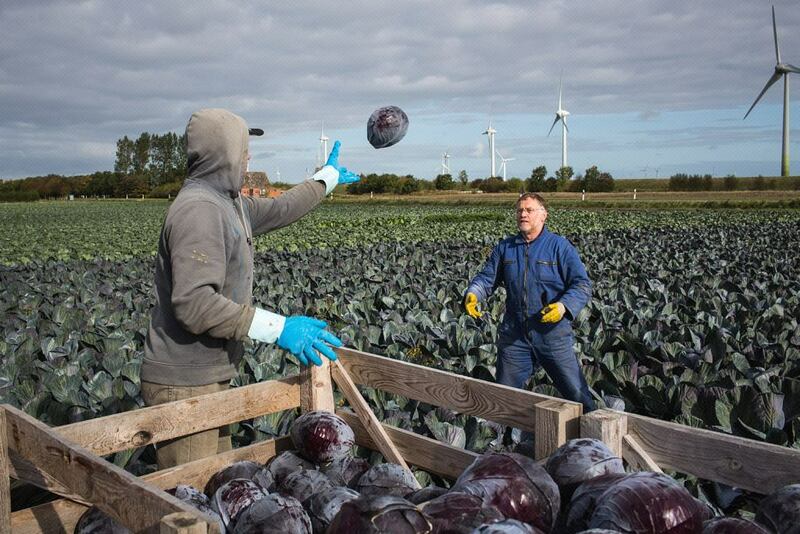 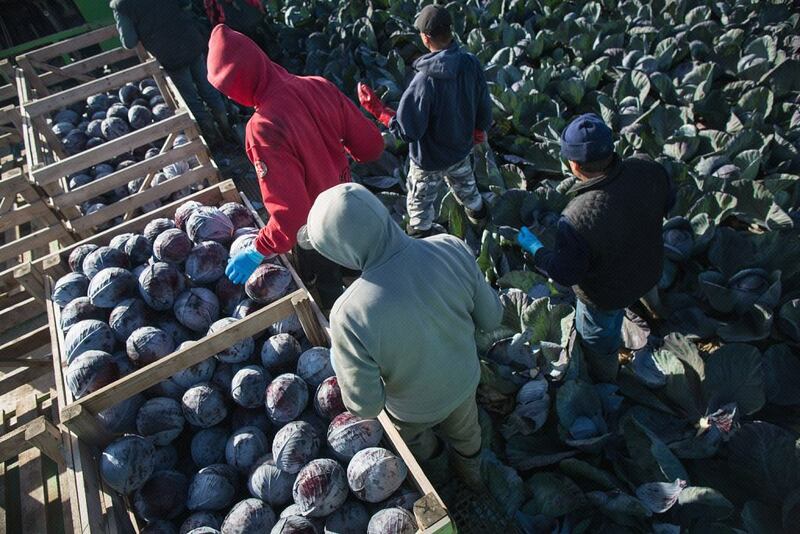 Seasonal workers from Poland harvest red cabbage in Schleswig-Holstein, Germany. 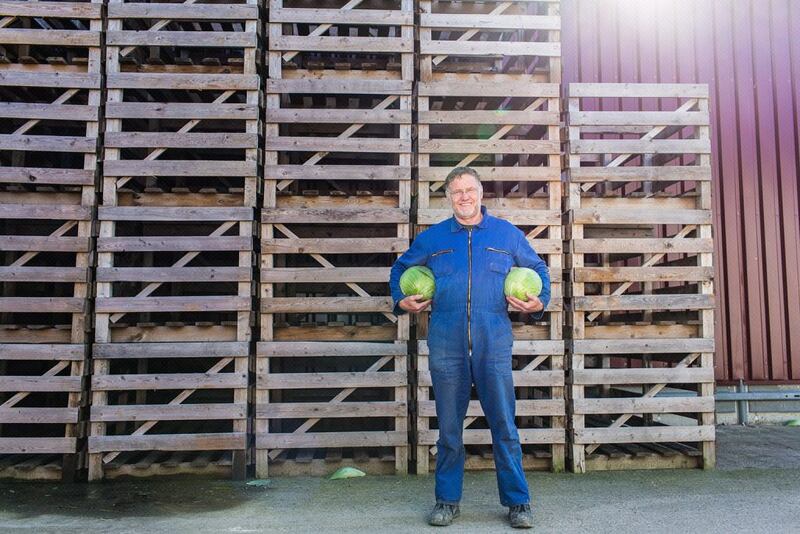 Karl-Albert Brandt, German farmer (for FINANCIAL TIMES GERMANY). 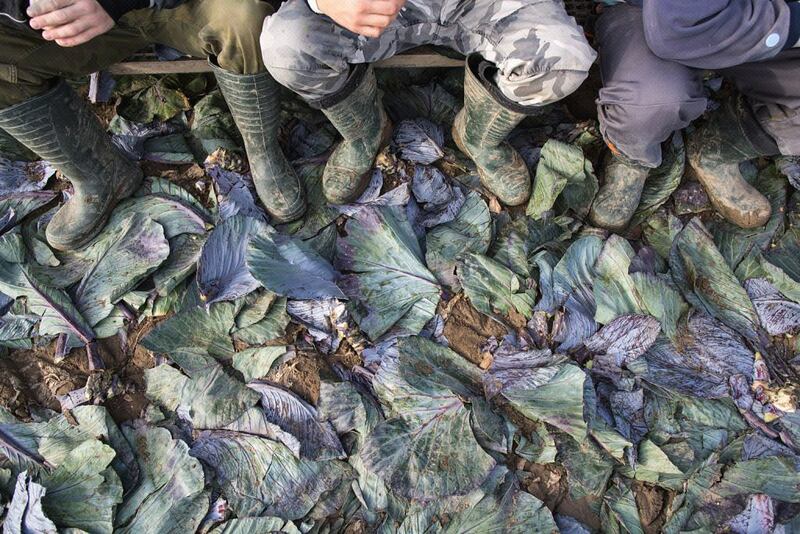 Seasonal workers from Poland Joseph Cichy, Pawel Pajor, Mirek Markiewicz, Slawek Zielinski (left to right) and Lucas Mikolajczyk (from behind) red cabbage harvest in Schleswig-Holstein, Germany. 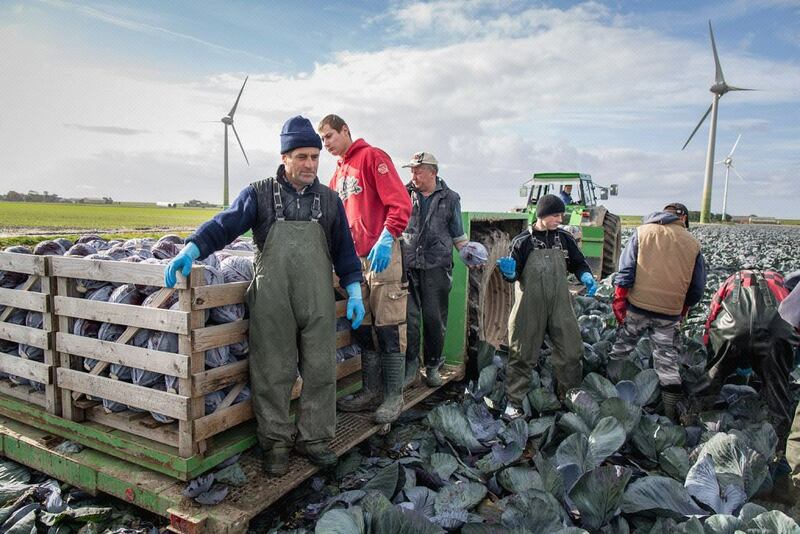 Seasonal workers from Poland and Janusz Jozwiak farmer Karl-Albert Brandt harvest red cabbage in Schleswig-Holstein, Germany.